The Majestic staff have lived in Long Island for a long time now. We’re sure you’d agree with us when we say that – often – most people don’t realize just how big the place is! Neighboring New York City is world-renowned for its hustle and bustle, and has a population of around 8.6 million. Well, Long Island actually isn’t far behind on that score, with approximately 7.8 million people living here. All of those millions of people have to live somewhere, and there are a whole lot of houses in Long Island. The area may be most famous for its part-time celebrity residents and their enormous mansions, but the vast majority of people who live here are really regular folk, living in very nice, but fairly regular houses! They live here all year round, not just during “the season”, and – naturally – want to keep their house looking as clean as it possibly can. There are few better ways to keep your Long Island-based home clean, whether it’s in Bellmore, Merrick or Seaford, than power washing. It can be an incredibly effective all-round service… but only when it’s done by the right people! Here at Majestic Windows & Exterior Cleaning, we are those right people. We’re power washing professionals, and we firmly believe we’re the best option for your home in all of Long Island. Here are the three biggest reasons why. You can have all the training in the world (which… the Majestic staff kind-of do! ), but if you haven’t got the right equipment, there’s a hard cap on the results you can achieve. That’s never a question here at Majestic Windows & Exterior Cleaning. We carry high-tech, professional, top-of-the-line equipment with us to every single job we undertake. This is one of the first things people usually look for in a power washing company in Long Island, and we can’t blame them. More experience generally leads to fewer mistakes, quicker work, and better results. Majestic have been in business for over a decade now, and our founder – Mike – has been in the power washing game for much longer than that. 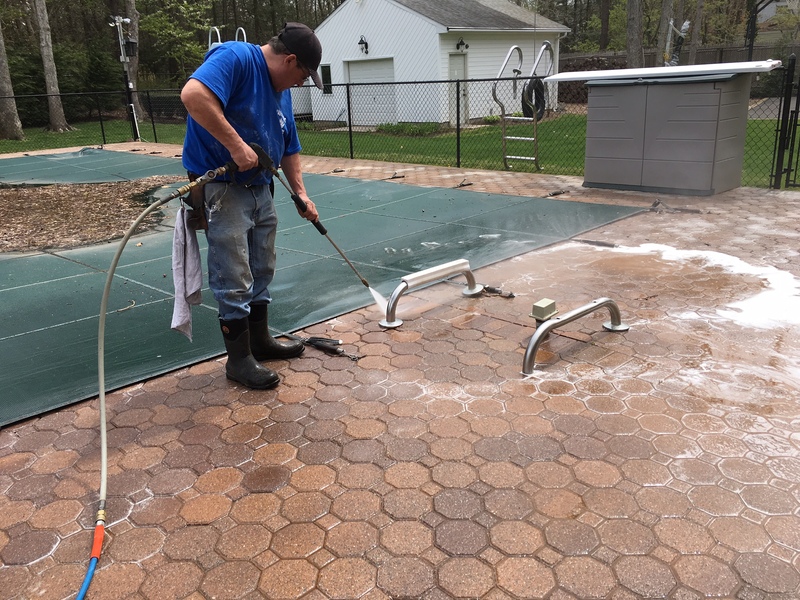 Whether you’re looking in Seaford, Bellmore or Merrick, that makes us one of the more experienced power washing companies around. When water is being blasted at your home, as it is during power washing, it’s only natural to want a little… reassurance! Our aforementioned extensive experience should help in this regard. We’ve learnt the importance of being patient and careful over the years, in every power washing job we undertake. If you want a little more peace of mind, however, you should know that we are fully insured, and we’ll happily provide the relevant documents on request. There are a whole lot of reasons why Majestic Windows & Exterior Cleaning should be your first port of call for power washing in Long Island. We know your time is precious, though, so we’ve managed to narrow it down to just three! If you like what you’ve read here, then please don’t hesitate to get in touch today to discuss your power washing needs. To do just that, email us at MikeMajestic66@gmail.com, or call us on 631-421-2295.